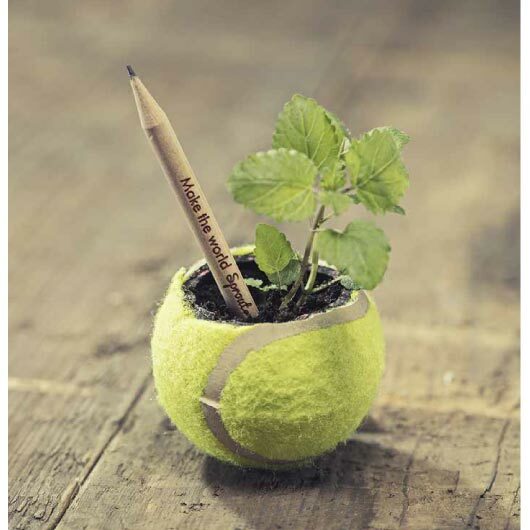 Let your promotion grow in an Environmentally friendly way with these innovative pencils. The newest way to promote your logo in an eco friendly and fun way is here! Here's how it works: Write draw and doodle until only the stub is left, then plant it upside down, watch it spring to life as herbs vegetables or flowers grow! 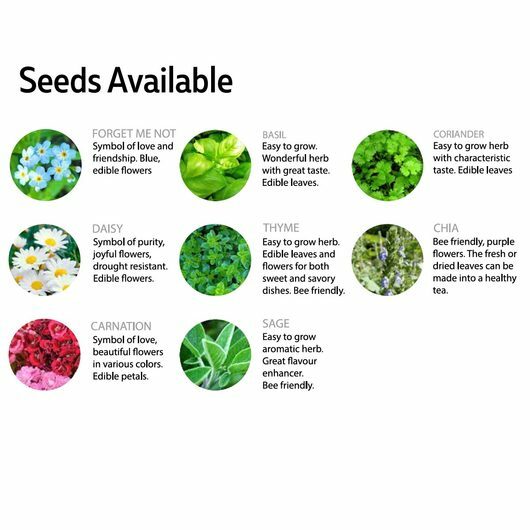 Your choice of these seeds: Forget Me Not, Basil, Coriander, Daisy, Thyme, Chia, Carnation, Sage. 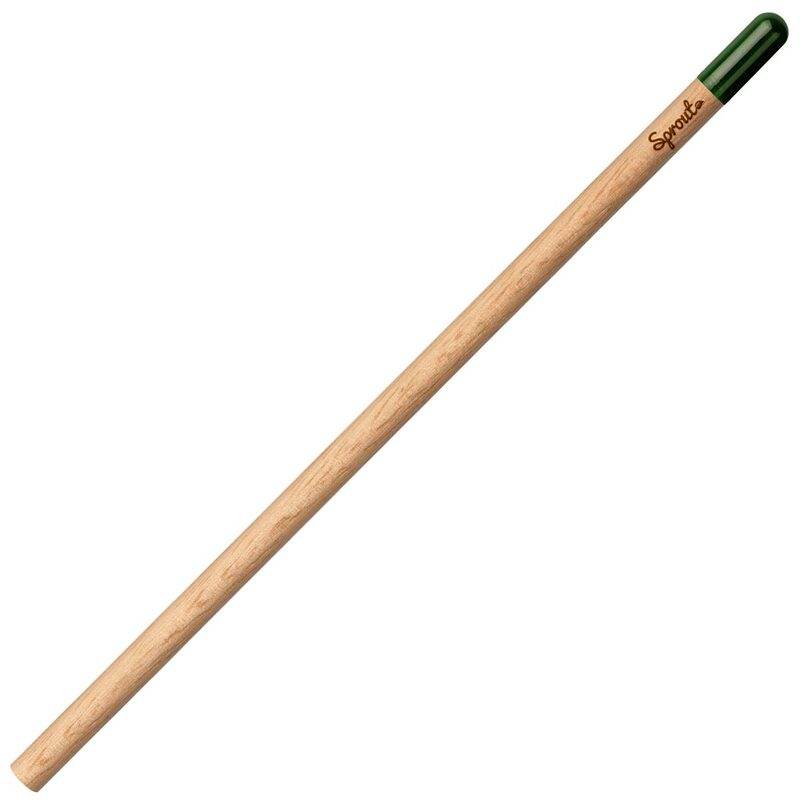 These pencils are a standard graphite pencil and they are supplied unsharpened and not inserted into card as standard but can be done for an additional cost. 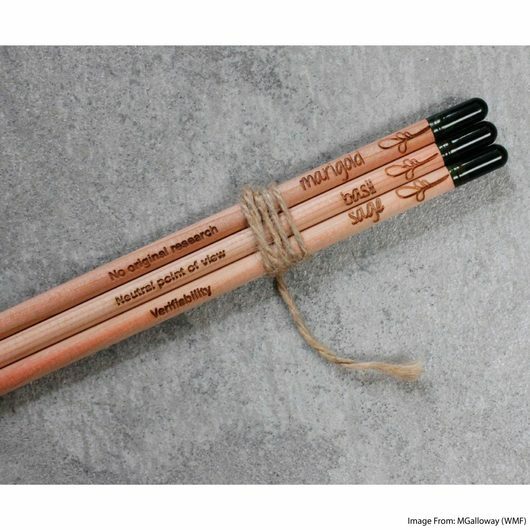 These pencils are available with a laser engraving decoration and can be supplied with a pre-printed or custom printed card as well (Price on request). Use pencil, plant upside down, grow!